This week, I have the pleasure of sharing an interview with Dr. Warren Throckmorton. 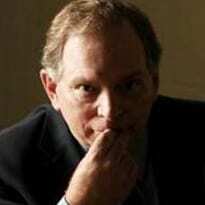 He currently is Professor of Psychology at Grove City College. Dr. Throckmorton has his B.A. in psychology from Cedarville University, an M.A. in clinical psychology from Central Michigan University, and a Ph.D. from Ohio University in community counseling/counselor education. He is a professor, author and a Christian evangelical. 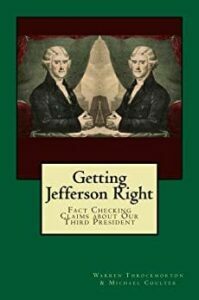 In 2012, he and GCC colleague Michael Coulter published Getting Jefferson Right: Fact Checking Claims about Our Third President which fact-checks common claims made by Christian Nationalists about Thomas Jefferson. As a professor, he uses some of my work when teaching about New Religious Movements. In the chapter on persuasion, he teaches a section on mind control groups and outlines the steps such groups use to keep their members in line. He uses the Unification Church as an example of how to create a social reality that doesn’t match up with the consensual reality of most of the world. After mentioning my past with the Unification Church, he focuses on the BITE Model as a useful way to evaluate the level of control used by an organization. He explains, “Dominionism is somehow hard to define because there’s not an organized Dominionist association, exactly. C. Peter Wagner is widely credited as a self-proclaimed apostle of the New Apostolic Reformation (NAR). It is a movement that comes out of the Charismatic and Pentecostal churches and whose members are considered spiritual warriors. They do healings, deliverances, exorcisms, speaking in tongues and other so-called “gifts of the Spirit.” There are thousands of people, men, and women who claim to be prophets and claim to be able to have revelations directly from God. NAR folks believe in creating a Christian theocracy and undermining the separation of Church and State. Rather than personal and spiritual, this reformation is corporate and dominionist. They even pray over Washington, DC, against the “forces of Satan that oppose Donald Trump.” The troubling thing with this movement is the lack of compromise. Instead of being divided over ideas or policy differences, they believe it is black and white, good vs. evil. We go on to discuss Russia, misinformation, Trump, his supporters, mind control, and confirmation bias. Regardless of your religious or political affiliation, this thorough, informative and balanced interview is worth a listen.